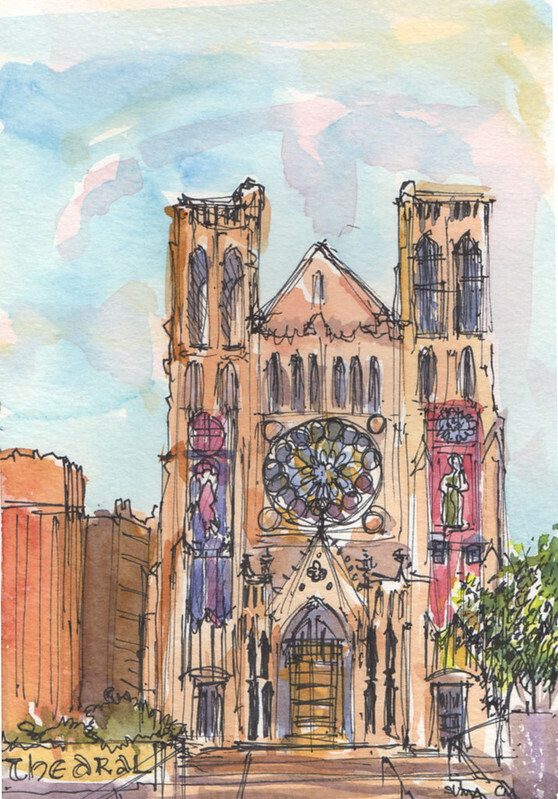 Spent a fantastic afternoon sketching with Liz Steel, Jane Blundell, Shiho Nakaza and our local artists at Grace Cathedral in San Francisco. I didn't get there till nearly 3 pm, so I only had about 20 minutes to dash off this sketch before we did our "throw down" of sketchbooks. Now Live: My Craftsy Class!